This blog is not intended to fill you with too much information,there are tones of information out there depending on how far you like to dig in the rabbit hole and what talks to you more. I always thought :why write since what is given today as truth is changing tomorrow when seen by a higher perspective? This blog,is more an invitation to read and meditate in a very simple way. Humanity’s history is much different than what most historians and education would like us to believe. to a an alien race called Annunaki ,life after life incarnating into Karmic cycles. 2018 is the 6th year of Our New Earth realities,which has begun on December 21st 2012 according to the Mayan Calendar. Jesus Christ and Maria Magdalena came on planet Earth more than 2,000 years ago to anchor the codes for the Liberation of Humanity through activation of our DNA codes. This was the 1st coming:They have achieved their Resurrection from Death and their Ascension into their Human bodies. Saint Germain offers Humanity the gift of his powerful ray of Violet Fire to release all traumas and memories from this or past life times. Violet Fire and Unconditional Love are our main tools to achieve Ascension. 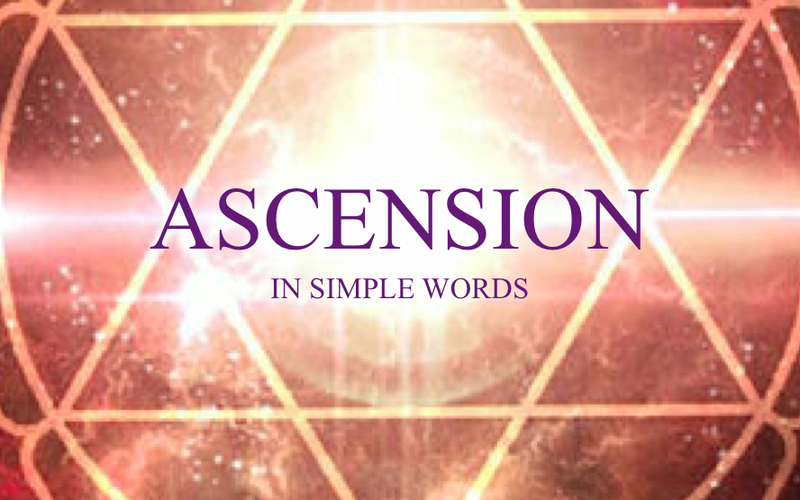 To Master Ascension,we need to ask the support to the rest of Ascended Masters family. The 2nd coming is happening right now in our bodies,it is the transformation of our carbon based bodies to crystalline base bodies,allowing those that have chosen this path before they came to this life to ‘Ascend’ within their bodies and live longer lives (up to 1000 years) without having to go through the cycle of dying and being born again.There are those that are very aware of this fact called The 1st Wave of Ascension,that i am part of. Our agreement into this life is through our presence and example as Deliberate Creators in Joy to wake up those that are asleep still and have chosen to walk the path of Ascension within their bodies which is also is the 2nd coming of the presence of Crystal/Christ energy in our bodies. There are also those that will Ascend by leaving their bodies. We all have agreed to play our roles as in each life and Ascension is what defines this lifetime. And of course Free Will is always available as one can choose which path they desire till eventually allowing and trusting their Higher Self, Soul ,I Am Presence show the way. Ascension is also the end of Carmic cycles,Total Forgiveness in Unconditional Love stops the wheel of Karma. This is an amazing period in the history of creation as our young specie called Humanity goes through the process of becoming Luminous Beings within our physical bodies. In fact the entire Cosmos is right now observing what is happening and for those of us that ask for help to be supported in our Ascension,help is only a thought away as our teams of Galactic Families:Arcturians,Pleiadians,Syrians,Andromedans and many more,Angels and Archangels,Ascended Masters,our Mother Father God and Mother Earth are all with us instantly to support us. All we need to do is Ask and it is Given. Our Meditations and everything in our lives become easier when we ask for support. Ease and Grace is what defines our timeline. Ascension is also called the transition from Human to Galactic, going from a 3Dimensional reality to a 5th Dimensional reality and beyond. 5th Dimensional Reality is not a place,it is a feeling and the more one feels into it,the easier things manifest in our lives till we will reach a state where we instantly manifest whatever we desire after extensive work in controlling our thoughts and feelings as what we feel and think we manifest. There is nothing we can not be,do or have. The more we feel ourselves into our desire,this manifests faster in our reality. This is to learn to become a deliberate creator of Joy as this is the main purpose of our existence on the planet. If this is completely new to you i invite you to relax and do a 15’ meditation in silence to allow yourself to adjust to this information,your soul knows already. If this is not new to you,i invite you to go below and make the invocation on a daily basis for the activation of your 24 strand DNA given by Saint Germain. I call upon Mother Earth and Archangel Uriel, the Fire of God the Light of God, the Archangel of Divine Wisdom in the North, and the Ruler of Elements of Earth. I project gratitude, light and love, I project my being, my energies, my thoughts deep into the magma of Mother Earth, yellow, purple, orange in color, asking for the assistance in bringing the energy of the creative magma up through my feet, up to my root chakra or coccygeal Plexus, into my second sexual and sacral chakra, the Plexus of Creation. I call on Divine Creative Source and Archangel Jophiel the Beauty of God, the Archangel of Creative Power and Illumination, The Guardian of the Tree of Knowledge with Archangel Uriel. I reach and project gratitude, light and love, high into the heavens, calling forth the golden-white light from Source Energy, bringing down the golden-white light through my cerebral chakras, down through my heart chakra adding love from my heart, and down to my sacral Plexus or creative center just above the pelvic bone. I call forth Archangel Zaphkiel, Keeper of the Orange Flame of Creation, the Angel of Ecstasy and Compassion to bring the creative energy of the orange flame into my sacral Plexus, with the intent of creating 24 strands of perfected DNA. For the Celebration of our Existence I call in the Star Children, Keepers of the perfected 24 strands of perfected human DNA, with the intent to manifest the 24 strands of DNA in my Sacral plexus, the second sexual creative chakra and in every cell in my body. As I place the 24 strands of DNA into every cell in my body, I intend to perfect my body, bones, blood, lymphatic system, nerves, organs, hormones, glands, proteins, telomeres, organelles, carbohydrates, arteries, veins, immune system, adipose tissues, cell membranes, mitochondria and every other cell in my body at a quantum level, manifesting the perfection of the original humans. I reform the 24 strands into 12 double-helix, connecting 2 strands each, into rotated, connected, perfected, spiral, double-stranded DNA, with perfected telomeres at the ends acting as little antennae, transmitting perfection from the quantum field and Source Energy, into each and every cell of my body to rejuvenate and revitalize my body to a perfected, eternal state of health and fitness. I braid these 12 double helixes into 24-stranded rope DNA in every cell in my body, making me strong, invincible, indestructible and impenetrable to all the toxins, petrochemicals, nanobots and radiation and all forms of low vibrational energy. My 12 double helixes connect me to the quantum energies of all other celestial realms. I am now connected and integrated to all my Divine Interdimensional Beings in the Multiverse. I AM now an enlightened Being of Light and Love! So BE IT! So It IS! I AM! A MEDITATION FOR ALL TO ATTEND! Blessings & Feel More Than Fine Always! Mother Father God,Company of Heaven and all of Creation. Family,friends and people in my life supporting my work even though not understanding everything,thank you for making my life easier in this 3dimensional physical world.